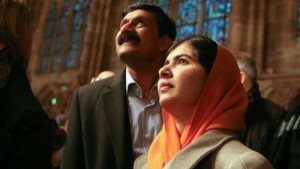 Today in class, students analyzed the story of Malala Yousafzai by finishing watching the film He Named Me Malala. Homework - p. 34 - Read the speech given by Malala at the United Nations. Answer the questions that follow in at least 2-3 complete sentences per question.